The Civil Society and Good Governance project, funded by the Embassy of Norway in Jakarta, Indonesia, is a continuation of a previous project led by Hivos which supported gender based violence (GBV) victims in Timor Leste. This second phase ultimately aims to strengthen the capacity of 4 local civil society organizations (CSOs) in Timor Leste to better and effectively advocate the rights of its citizens. 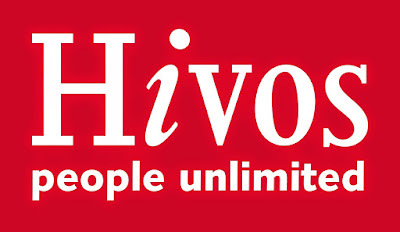 Hivos and its four local partners have planned to work on the following: capacity building, and awareness raising and advocacy in a number of areas, including governance, gender based violence and women leadership. In regards to the above, Hivos wishes to assign a consultant or a team of consultants to work with our local partners in Timor Leste in Media Outreach, and Narrative Writing Skills. The training session will be conducted in Dili, Timor Leste in the 3rd or 4th week of November and will be for a maximum of 20 participants (5 participants from each CSO). In addition to the training session, consultants should create individual time with each CSO to develop a strategic plan that is personalized for that specific CSO. We estimate that a maximum of 3 days should be allotted to the training session in Timor Leste. We believe that the skills learned will be extremely pivotal to the sustainability of each partner in supporting their respective causes and/or target groups. Hivos will oversee and monitor all activities. The following are the responsibility of the communication consultant. Consultant(s) are expected to handle a maximum budget of USD 5,000 for the entirety of this project. The consultant will start on Monday, 6th of November as we are planning to have this capacity development training/mentoring for the local partners in Dili sometime in the 3rd or 4th week of November. To apply for this consultancy position please submit a proposal (offered methodology, and budget breakdown) and CV/resume to esutarjadi@hivos.org no later than 13 October 2017 with email subject: Consultant for Capacity Development Training.